I’ve had many questions regarding rolling out cut-out cookies since I began this blog 7-ish years ago, so I thought I’d share a how-to and some of my favorite tips I’ve learned over time. By no means is this the only way to roll out cookies, but I hope you find my suggestions helpful. There are various ways of rolling out cookie dough, you can let the dough chill first and then roll it out, or roll the dough right away and then let it rest (as I’ll show in the video). You can roll it on a surface dusted with flour or between parchment paper or with the Dough E-Z mat. I share my favorite tips and time savers in the video, and you can find more tips below. Happy rolling! To make rolling out cookies easy, the dough needs to be moist but not sticky. Before taking the dough out of the mixer bowl, pinch the dough between two fingers; if the dough sticks to you fingers too much, it won’t be as easy to roll out. Add a little bit of flour and mix (and repeat if need be), and test again. If the dough is too dry it will be crumbly and not stick together. To fix, add a tiny bit of water or milk and mix again. You may need to check your measurements with the recipe you used or try a different recipe next time. I roll out half my sugar cookie dough at a time, to ensure the dough fits on two baking sheets. Because the dough is soft when just made, I find rolling it right away saves me time and effort. I can then chill the dough and immediately cut out shapes once the dough has rested. 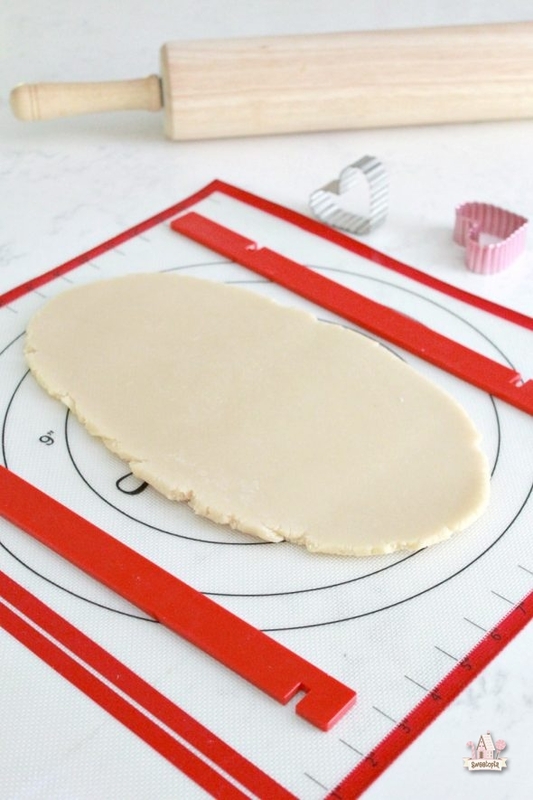 I love the Dough E-Z mat for ease, less mess and less cost. 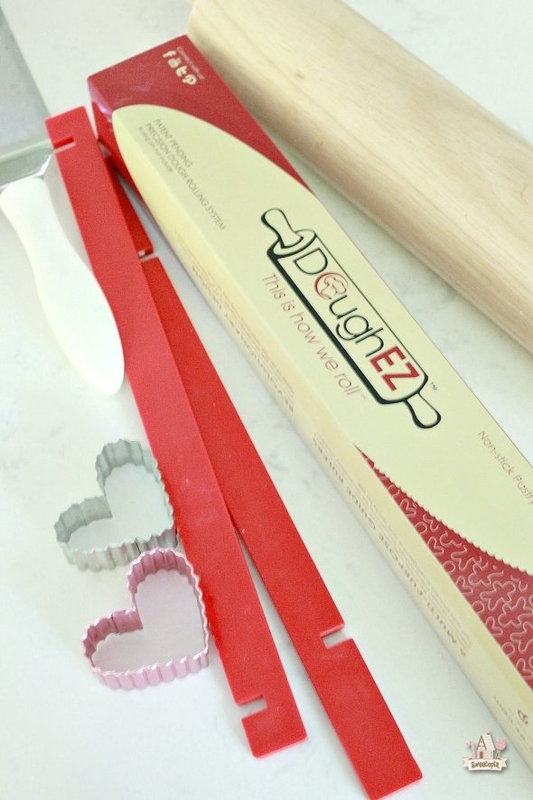 Parchment paper is expensive and the Dough E-Z helps save money in that area. The mat is also non-slip, which makes rolling out easier than using parchment paper. You don’t necessarily need to use guide strips, but it makes rolling out even thickness dough simple. I used the 1/4 inch strips. If the dough is chilled when cutting simple cookie shapes out, I find the cookies easier to cut and place on a baking sheet. Once the dough gets warmer, you may need to use a spatula to help lift them. Peeling the dough away from the shape first also helps. If the dough gets too soft, I put it back in the fridge to chill for a while. For more complex shapes, for example with skinnier areas, like these tennis racket cookies, it helps if the dough is a bit soft, otherwise the narrower areas break faster. See this post here on helping prevent cookies from spreading during baking. I chill my cookies for about an hour, before baking. These are just a few of my favorite tips which would have helped alleviate some frustration had I known them when I first began making cut-out cookies. If you have any tips which you’d like to share you’re welcome to leave a comment below. You make it look so easy! and your cookies come out perfectly! Thanks for sharing! Thanks Karyn and Niner for your comments! That mat is super cool! So easy to even get the dough on your baking sheet! Thanks so much for sharing, I bet a lot of people will find it helpful and might want to get one. I certainly would (let’s see if they have them in Germany haha). Thanks so much for the recipe. My sugar cookies taste delicious. 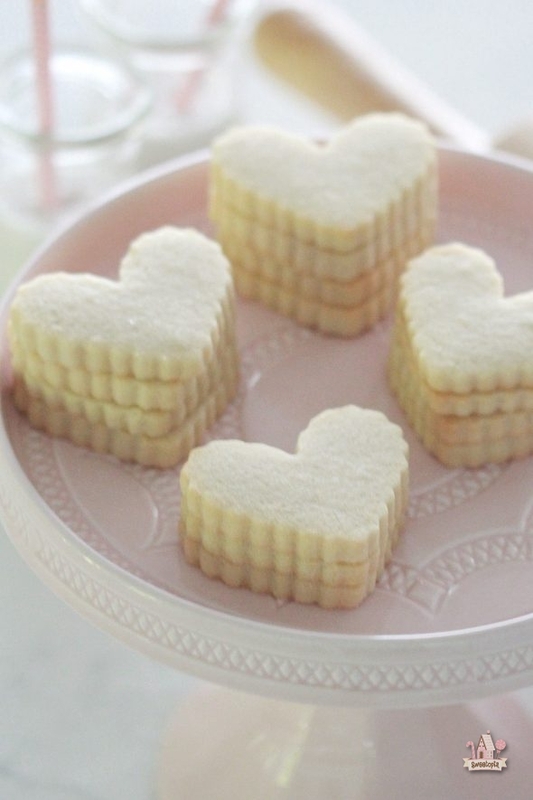 However, I noticed that the sides of the cookies have lines on them (almost looks like layers). It doesn’t look very pretty. What am I doing wrong? Hmmm, do you have a photo you could share with me on social media somewhere please? I just bought the Dough E-Z using your discount code. I absolutely love it! It took me a few tries to get in a “rhythm” after switching from using the standard flour method, but now it’s faster and my cookies are holding their shape better. Thanks for recommending this product and for sharing the tutorial!! Really need one of these dough ez. 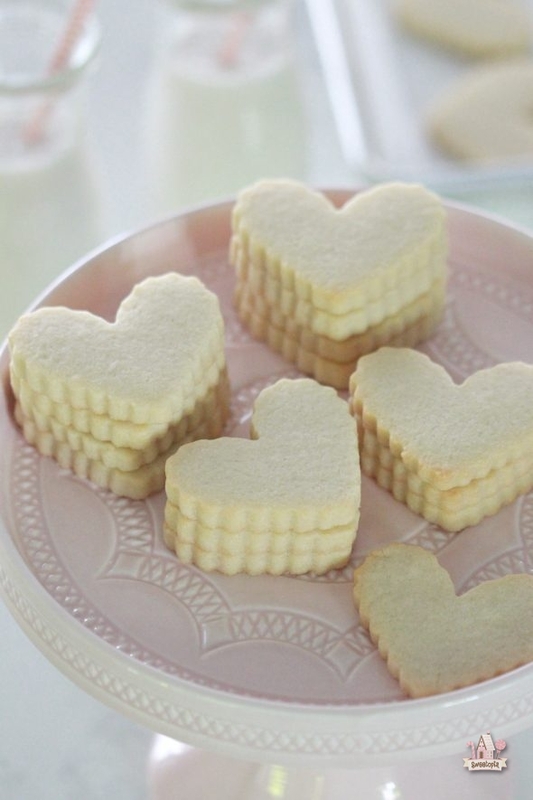 Beautiful perfect cookies.